D&O, a world leading LED packaging solutions provider, is strategically positioned to partake in the multi-year revolutionary change in the automobile lighting industry. The 31% slump in share prices from 52W high of RM1.00 to RM0.695 has grossly priced in the short term worries of a weaker 1Q19 results due to the Worldwide Harmonised Light Vehicle Test Procedure (WLTP) regulation as well as the US-China trade war. However, a promising industry outlook, expectations of a US-China trade deal, capacity expansion and an improving product mix could bolster D&O’s earnings outlook over the medium to longt erm. 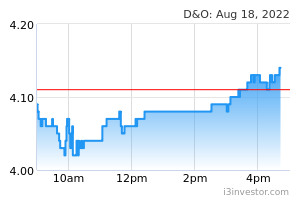 D&O is trading at undemanding 16x FY19E P/E (40% and 50% discounts to its German competitor – OSRAM 27x and 2Y average P/E of 32x), supported by a robust FY18-20E EPS CAGR of 30%. D&O is a world leading Surface Mount (“SMT”) LED manufacturer for the global automotive industry. The group offers a comprehensive range of LED packaging solutions under its own “DOMINANT” brand name catering for both the interior and exterior automotive lighting. Dominant’s manufacturing facilities, located at Batu Berendam Free Trade Zone in Melaka, is AEC-Q101 qualified, a world class automotive quality standards. Currently, its products are sold around the world through a global network of sales and after-sales service offices in key automotive manufacturing hubs, including China, US, Japan, Europe, Korea and India. A fruitful business rationalisation. D&O has been rejigging its portfolio since 2015 with the exit of highly competitive and less profitable LED markets (for general lighting and LED TV) to focus on its core competency in the Automotive segment. To recap, the automotive segment revenue has grown by a 22% CAGR from 2014-2018 and the change in the sales mix has also dramatically improved overall PBT by 77% CAGR from 2014-2018, as reflected in the pre-tax margin improvement from 1.2% in 2014 to 10.6% in 2018. Promising outlook. While lower car sales volume and supply chain adjustment may dampen revenue growth in the short term, the medium to long term growth fundamentals of LED remain intact. Capex over the next few years is expected to remain high as D&O continues to build capacity, improve machine efficiencies and quality control processes, automate certain labour-intensive processes and strengthen in-house test capabilities. According to an industry report from LEDinside titled “Global Automotive LED Market Outlook 2018”, the automotive LED market is projected to grow at a much faster rate than car sales volume, underpinned by new interior lighting applications such as display panels and ambience lighting, and increasing adoption of LED technology in exterior lighting solutions, for example, head lamps, tail lights, fog lamps and day - running lights. Grand View Research, Inc. further estimates that the automotive lighting market will grow at a 12% CAGR between 2015 and 2022. Values resurface amid steeply oversold position. In the short term, D&O could still trap in consolidation mode as share prices continue to hover below the multiple major SMAs. Nevertheless, downside risks are limited as MACD histograms are on the mend, coupled with deeply oversold slow stochastic and RSI. Once this pattern ends, we expect prices to stage a breakout above RM0.715 (10D SMA), followed by the RM0.755 (200D SMA) levels, before reaching our LT objective at RM0.80 (38.2% FR). 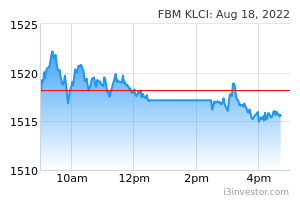 Key supports are situated at RM0.675 (18 Dec low) and RM0.65 (weekly lower Bollinger band). Cut loss at RM0.645.